Plumbers hate exercise. Fact. Anyone who has had the misfortune to have to call one out for a leaky wotsit can testify to that. The closest they ever come to exercise is lifting their heavy wallets after extortionate call-out charges. Are we right? Yes, we most certainly are. As you would expect, the greatest plumber in the world is an exception. Mario isn’t just sporty, he’s sportier than most sporty types. Over the years, when he isn’t sorting out your pipes, he has participated in a number of sporting events during his rare downtime. He’s indulged in baseball, golf, motocross, boxing, street fighting, basketball, snowboarding, football, all of the Olympics, and lets his hair down with a little light go-karting. But one of his greatest loves is tennis. He first got a taste for it when asked to umpire for the 1984 NES Tennis title. He then decided to pick up the racket himself in 1995 for Mario’s Tennis on the Virtual Boy, and has been batting his way through various titles ever since. This then, is his latest outing on court for the Switch. I hate exercise, but I couldn't turn this paycheck down. 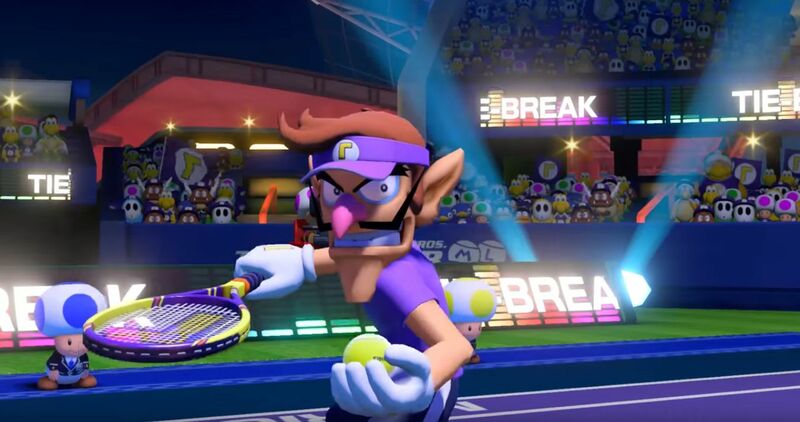 Unlike most tennis games, where the campaign part of the game is spent on tour travelling to various tournaments, to take on the likes of Nadal, Federer and co, Mario does things differently. Mario goes on an adventure. 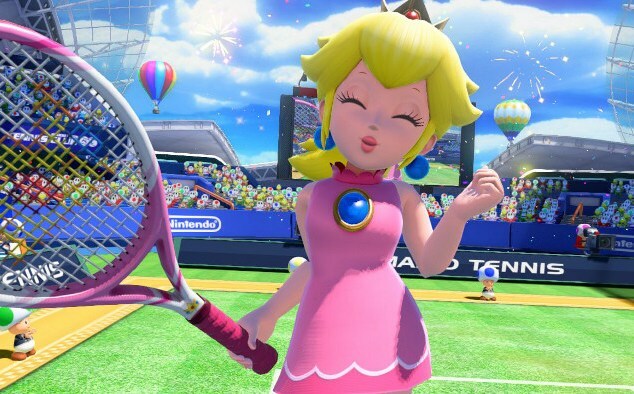 With Toad as a companion, he trundles off to various parts of the world, seeking out five powerful stones that will, well, make him a better tennis player. Oh and probably save the world to boot. There are of course boss battles along the way, as well as some fairly challenging challenges. One sees you having to continue a rally – for 300 shots! – with only three lives. So good luck with that one. Ultimately the challenges in adventure mode act as practice for all the shots, special moves, slo-mo, charged shots etc. You’ll need to get to grips with if you’re to master the game. You can take part in tournaments, both off and online, where you can take on keen opponents from around the world. Or not. They aren’t particularly deep affairs, but are there if you like that sort of thing. Can I tell you a secret? I used to be a boy. One area that may get peeps excited is the use of the joy-cons. They can be used in a similar fashion to the wiimotes in the popular Wii Tennis game. And just as with those controllers, the responsiveness of joy-cons is very hit and miss. That’s not to say that it’s not fun flailing your arms in the air like Donkey Kong, in the unlikely event of hitting the ball with an appropriate shot, just be mindful of your surroundings, and each other. One obvious omission is that of doubles; it would have been manic fun playing locally with up to four other players. Perhaps it was logistically challenging, which is fair enough, but it does feel like a missed opportunity. With no sign of a revival of Sega’s Virtua Tennis series, decent arcade style tennis games are truly thin on the ground. Although not perfect, this title serves up a fun-filled experience, with its colourful worlds and even more colourful characters, which makes it seeded number one in our book.